This comment refers to the 2010 Japanese CD, COCB-53960, only. Tracks 4 through 7 are incorrectly labeled. This caused me a lot of confusion, because I did not know 5 of the tunes on the album. I only discovered the error because I have the CD called "Cannonball Adderley Discoveries" (COCY 78190) and I was making two custom CDs of the June 28, 1955 and July 14, 1955 sessions in chronological order. The "Discoveries" CD consists of alternate takes from the two sessions. 7. We'll Be Together Again. Don't let this put you off getting this CD. The music is excellent. A4 (Late entry) should be 3:12. The times on some of these tracks have been shuffled (from Late Entry onwards). Late Entry is 3:12; Hear me talkin to ya is 9:06; With apologies to Oscar is 5:42; We'll be together again is 6:56. 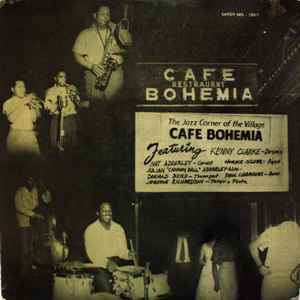 Recorded on a couple of dates, most of this is recorded with a a pretty fine ensemble, with Kenny Clarke as leader, Horace Silver on piano, Paul Chambers on bass, The Adderley brothers and a young Donald Byrd on horns. Cannonball Adderley's is on fine form, his sound goes really well with Horace Silver's, and many reissues have him listed as leader. This is a really good example of very bluesy hard bop.